Gov. Larry Hogan has proposed creating a new watchdog for public schools. Hogan administration officials told committee members the legislation is a response to concerns they have heard from teachers, students and parents around the state. The bill creates a new inspector general in a new Education Monitoring Unit. The office would have subpoena power and would have access to internal records of the Maryland State Department of Education, local boards of education and local school systems. “This office will be charged with investigating on matters including procurement, education assessments, graduation requirements, grading and education facilities,” said Ali Keane, deputy legislative officer in the Governor’s Legislative Office. Several parents of students with special needs told lawmakers in person or in written testimony that their experiences with public schools demonstrate that the legislation is necessary. David Dollins, who has a daughter with disabilities, said administrators and teachers at his daughter’s school are inflating her grades so that they can deny that she needs extra support. But Democrats on the committee questioned how the proposed office’s six staff members would able to investigate what are likely to be tens of thousands of complaints, many of them submitted anonymously. Committee Chair Paul Pinsky, a Prince George’s County Democrat, said he worries the Educational Monitoring Unit would cherry-pick the complaints it investigates based on political motivations. 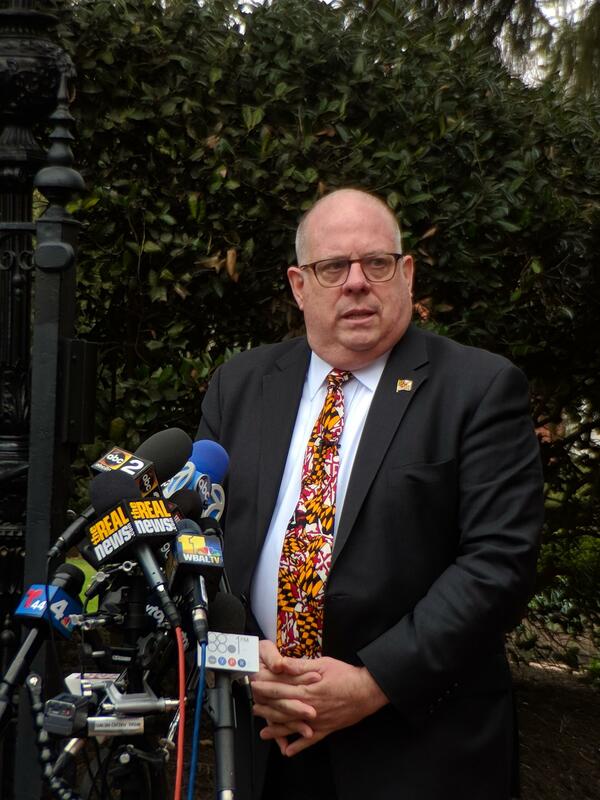 He noted that Hogan, in explaining the need for the inspector general, has mainly offered examples of problems in parts of the state with more Democratic voters. “I haven’t heard too much about complaints about Carroll County or Dorchester County or Somerset County, but I’ve heard many from the second floor about Baltimore City, Baltimore County and Prince George’s County,” Pinsky said. But the problems that inspired the legislation are statewide, said Keiffer Mitchell, special adviser to the governor. Democrats also raised concerns that this office would simply be another layer of bureaucracy. They asked why the proposed office is necessary, given that there are existing processes for finding and addressing problems in the schools. But Valerie Radomsky, director of the Office of Education Accountability that Hogan created in the fall as a precursor to the Education Monitoring Unit, said no. Many of the complaints they have received relate to actions the State Department of Education told a local school system to take but that the local schools haven’t fulfilled, she said. The Maryland Association of Boards of Education, which represents all of the local school boards in the state; the Maryland State Education Association teachers union; and the Public School Superintendents’ Association of Maryland all oppose the bill. In written and oral testimony, they told the committee there are already plenty of accountability measures in place.